Selenium is an essential trace mineral and antioxidant that is vital to good health and physical and mental energy. While it should be found in many foods, the amount of selenium in common sources has decreased in recent decades. Selenium is needed to form selenoproteins, which are themselves necessary for the creation of glutathione peroxidase. For men, a deficiency in selenium can harm sperm motility, therefore reducing male fertility. While this may seem like a good thing to some men at certain stages of their life, there are more useful natural treatments like papaya seeds that don’t have the same negative health consequences as missing out on selenium. 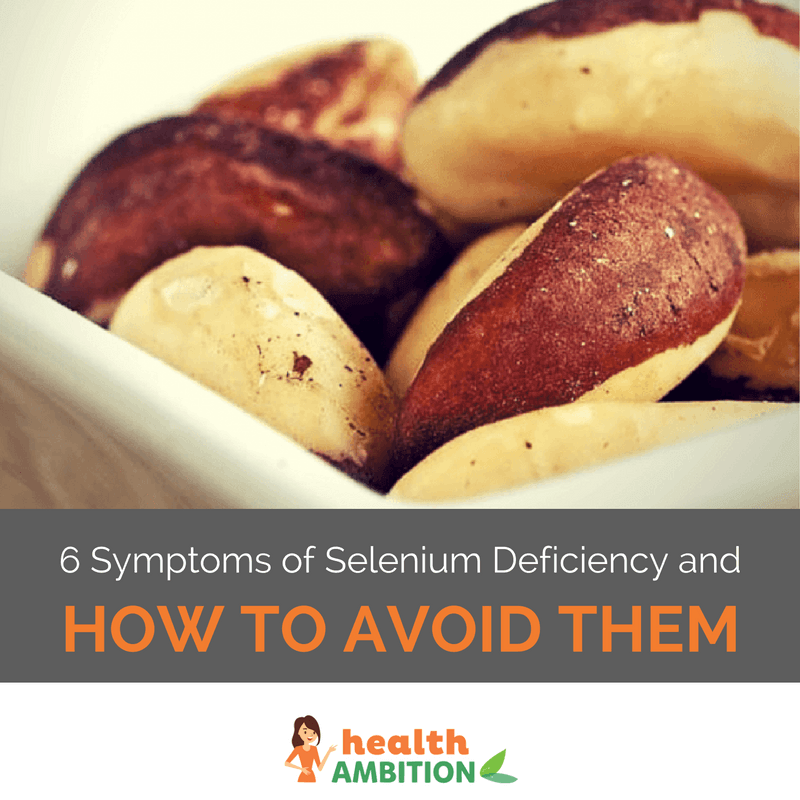 Here’s some more information on selenium. I like these organic Brazil nuts and a big bag kept in the fridge lasts for at least a month eaten like this. Remember though, only two, possibly three a day, at least at the start. What Is the Best Selenium Supplement Brand To Buy in 2019? What Are the Best Antioxidant Supplements to Take in 2019? What Is the Best Multivitamin for Acne & Skin? My name is Alec and I must say that I’ve been It’s surprised to learn what Selenium does to the body and what lack of it affects the way our body functions. Selenium is an element that is not widely known but very important. I knew of its existence but not in-depth as I do now. And its benefits. I gotta start looking out for Selenium because I know what I’ll be looking for. Hi Alec and thanks for the positive comments. You’re right that selenium isn’t as widely recognized for it’s importance as say calcium or iron. Even though we only need a small amount of it, it’s still very necessary for good health. With so many crops being grown in selenium deficient soils I personally think unless you eat a lot of fresh seafood then Brazil nuts are the best selenium source. Hello, thanks for the post. Please take a look at # 6. The title says hyperthyroidism but the body says hypo, which I believe you’re describing. Please update if possible. Hi Jacqueline and thanks for catching that. The voice to text program I use can be a bit wonky sometimes. Hi there! I had never heard about selenium before until reading this. I do have hypothyroidism and have for a while. Lately though I’ve been having a lot of the symptoms listed in this article which originally led me to believe my thyroid levels were off again. When my lab work came back normal and I read about selenium, I decided to give Brazil nuts a try. I must admit that I read all the way until right before your warning about taking too much selenium. Thankfully I only ate four of them yesterday and not anymore, because even that much was enough to make me crazy sick! I felt like I was dying! Anyways, I just wanted to warn others to be careful how many they eat and to maybe start out with just a couple. Thanks! Brazil nuts are powerful and some people are sensitive to them. I’ve personally had that many on many occasions without ill effects but it could be that a sudden increase in selenium from them was a bit of a shock to the system. I’d consult your doctor first and if you’d still like to try them again then start out with one a day for at least a few weeks. Hello Camille…..Keep taking selenium via supplement or Brazil Nuts. The ill feelings you experienced were more from the Brazil nut itself. All nuts want to propagate and there for have a chemical in them to prevent them from being eaten by animals (people included). This explains allergy symptoms. The ill feeling is most likely due to a weak immune system. Most “healthy” people can tolerate the chemical in the nut when the immune system is optimal but since most of us are immune comprised we find ourselves becoming sick. Plus there is a die off that can cause illness as well. Remember that the amount of selenium is directly related to the soil the plant is grown in. Plants do not manufacture selenium so its presents in depends on the soil. Most Brazil Nuts were an excellent source of selenium many years ago but not now. Selenium is very important so continue to take it. It is also very cheap….which is good. I have hypothyroidism, and I find it too much of a coincidence that I crave foods with selenium in them, like mushrooms and asparagus. I’m going to include more selenium in my diet and hopefully some of my symptoms will improve. This is confusing. I have been taking 200mcg of Selenium. My nails have white spots and peeling. So how do I know if I am taking too much or not enough? !